I bought her on EBay for $13. Had her serviced at Cambridge Typewriter Co. in Arlington MA. Now she purrs like a kitten. A disciplined, German kitten. I plan on passing her to my daughter in 10 years or so. 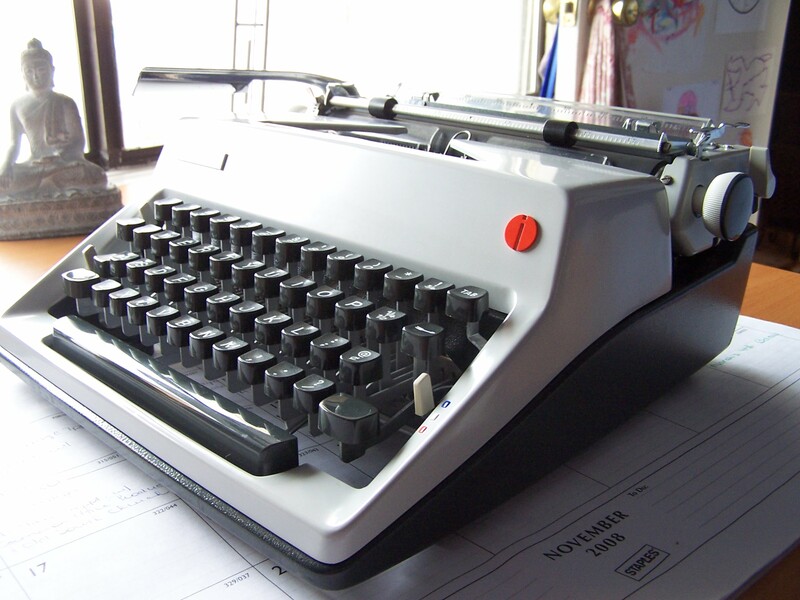 A lean, mean writin’ machine! She’s 1971 vintage, and built to last. I remember Strikethru referring to the Olympia SM9 as a cross between a Swiss watch and an anvil, or something like that. I agree. She has a great, precise touch but is built like a tank. I wanted to use her for NaNoWriMo this year, but I got sidetracked early in the game. I’m going to keep plugging away, but won’t make the 50k. Maybe next year.